We are accepting nominations for our second annual book prize in both categories. All books must have been published January 2017 to the present to be considered this year. If a book has previously been nominated, it cannot be nominated again. Please submit the name of the author, the book to be considered, the publisher information to [email protected] and indicate which prize (1st or subsequent publication). Please submit all nominations by March 11th. Once the list of nominations is complete, publishers will be contacted directly to have copies of the books sent to the committees. Self-nominations are also welcome. Winners of the book prize will be announced at the American Anthropological Association Annual Meetings in Vancouver, Canada, 2019. Click here to learn about previous winners. 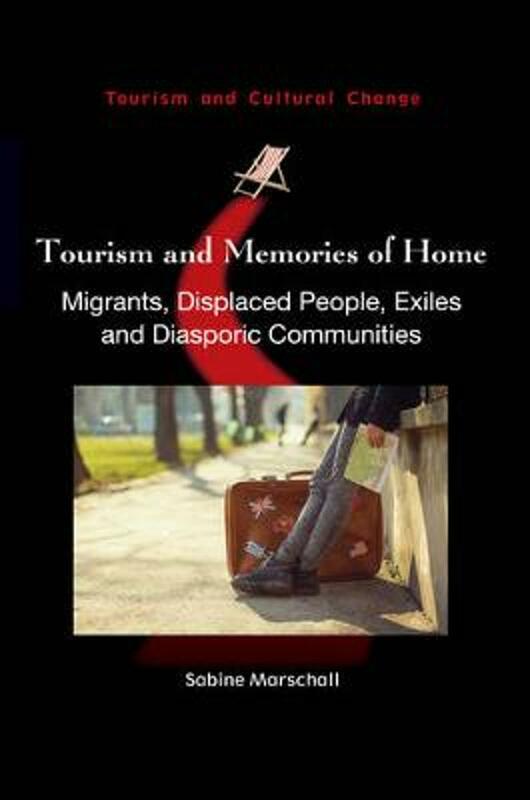 Tourism and Memories of Home: Migrants, Displaced People, Exiles and Diasporic Communities, edited by Sabine Marschall. Channel View Publications, 2017. Being a migrant and an avid traveller, I began to reflect, some years ago, on my own fascination with revisiting places that were once significant to me – former homes, my alma mater and other types of important locations. I found this very meaningful and enjoyed indulging in memories, often triggered by familiar sights, sounds or smells. As a tourism scholar, I wondered to what extent other people were similarly drawn to walk in the footsteps of their own past and even embark on special journeys to do so (‘personal memory tourism’). There is of course ample scholarship on roots tourism and ethnic homecomings of diasporic communities in search of identity, origins, real or imaginary homes, but I was interested in whether this constitutes a wider phenomenon, including among first generation migrants and those forcibly displaced from their homes through war, violent conflict or disasters. Tourism and Memories of Home explores such journeys to former, ancestral and imaginary homes or homelands for migrants, exiles, refugees and diaspora groups. It illustrates the close link between identity, memory and places of origin and how this motivates people in Western societies and beyond to undertake various types of travel and temporary ‘return’ journeys near and far, although they may not consider themselves ‘tourists’. Several case studies in the book even illustrate that such travellers may consciously distance themselves – physically and ontologically – from touristic spaces and modes of behaviour, understanding their home(land) trip rather as a personal form of pilgrimage or just as a family visit. Positioning ‘home’ as destination inverts early understandings of tourism as the journey away from home, advanced by pioneering scholars such as Nelson Graburn and challenges various notions once associated with a narrow conceptualization of tourism as leisure holiday, prevalent in western societies and motivated by the alienating conditions of modernity. The broader context of this research on diasporic tourism is the so-called tourism-migration nexus, a niche area within tourism studies that investigates the multifarious linkages between tourists and migrants. Migration leads to tourism, especially visiting friends and relatives (VFR), migrant return visits, and migrants exploring their host country; conversely, tourism leads to migration, as people who have the means touristically explore options for residential relocation. While the fluidity of boundaries between different types of travel between the poles of short term leisure tourism and permanent migration is widely acknowledged, I argue that the complex mobility spectrum can even be extended to the forcibly displaced. Various scholars recognize the overlap between migration and refugee studies and the blurring of boundaries between voluntary and involuntary forms of displacement, as all migration involves complex push and pull factors. The forcibly displaced, those who have lost their personal home and homeland, understandably long most desperately for return; there is scant evidence that a few even embark on clandestine ‘return journeys home’, but this is an almost completely unexplored area of research. Nostalgic memories of the old home may be passed on across several generations, but ultimately descendants always develop their own relationship with the family place of origin. Memories passed on by (grand)parents are mingled with memories of other sources, including touristic trips to places identified as significant in the family narrative of origin and closely tied to personal and collective senses of identity. Compared to related scholarship in the field, my special research interest – and focus of the book – is precisely the role of such memories. Linking the rapidly developing, interdisciplinary field of memory studies to tourism studies or the tourism-migration nexus, it explores how personal, autobiographic and episodic memories, as well as different types of collective memory influence the experience of travelling ‘home’. For members of descendent generations, the ‘return trip’ is usually a first time visit, yet some still feel an uncanny sense of familiarity with a place they have never previously visited, but often ‘seen’ in their imagination fuelled by shared memories from the older generation. In my earlier publications on ‘homesick tourism’, which first stirred the interest that culminated in Tourism and Memories of Home, I argued that first generation migrants and refugees who revisit their long lost former home eagerly search for the minutest traces of their own past. In contrast to John Urry’s seminal concept of the ‘tourist gaze’, defined by difference and the extraordinary, the ‘memory gaze’ of these tourists relies on familiarity and the search for the most ordinary signs of their remembered former lives. The scope of this narrative does not allow me to provide a comprehensive content overview of Tourism and Memories of Home, but I will mention a few contributions. Harper’s historically oriented research on the Scottish diaspora since the 19th century shows that return journeys home are by no means a new phenomenon. Specific motivations and the organization of such trips have however changed over the years and today, the demand for Scottish roots tourism, homecomings and genealogy tourism has spawned thriving industries. Several chapters focus on interesting and novel aspects of diasporic return journeys undertaken by descendants of migrants in different societal and geographical contexts, underpinned by collective memories and identity constructs (e.g. Bieter, Ireland & Ray’s research on the Basque community in the United States). Other contributions investigate the role of memory in home journeys of first generation migrants or survivors of forced displacement. Hannam and Yankovska’s chapter, for instance, engages with victims of the 1986 Chernobyl nuclear disaster, their memories, their relationship towards the lost home and their attitudes towards the emergent tourism around the ‘ghost town’ that was once their home. The authors found that some survivors use the products of the emergent ‘dark tourism’ industry to revisit their own homes; others sneak into the contaminated precinct with the help of illegal tour operators; yet others find it too painful to return. Return visits home are not just about nostalgic indulgence in memories or personal quests for origin and identity. As Bhandari discusses in his chapter on the Nepalese migrant community in the UK, motivation for home trips may be low on the agenda, but can suddenly be triggered by dramatic events and external stimuli, such as the destructive earthquake, and result in patriotism, a new sense of pride, belonging, and self-identity. In Kadman and Kabha’s chapter on Palestinian refugees and exiles who return to search for traces of their home villages depopulated or erased by Zionist forces during the Nakba, the visit may be both a painful engagement with traumatic memories and a political statement linked to the demand for a permanent return of the land. In lieu of a conclusion, Tourism and Memories of Home ends with Nelson Graburn’s Epilogue: Home, Travel, Memory and Anthropology, a fascinating contribution that interweaves astute scholarly assessment of the book’s key themes with rich personal observations and multifarious experiences of return travel over a long span of life. Congratulations to the winners of the 2018 ATIG book prizes! The inaugural award of ATIG book prizes was conducted in November during the the ATIG business meeting at the meetings of the American Anthropological Association in San Jose, California. The award ceremony was a semi-formal and lively affair, with much reminiscing about the growth of ATIG as a community of scholars since the interest group’s formation in 2012. In honor of his prodigious contributions to the anthropological study of tourism and in appreciation his personal influence on ATIG and many of its members, the prize for an author’s first book has been named for Nelson Graburn. It was fitting that he personally presented the inaugural award of the prize named in his honor. For the time being, the prize for an author’s subsequent book has not been named. If you have an idea about a good name for this prize, please get in touch with us! 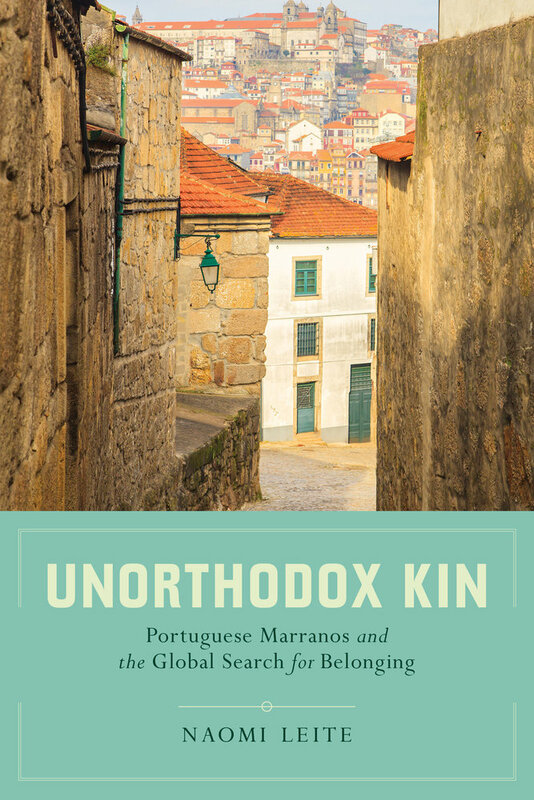 Unorthodox Kin: Portuguese Marranos and the Global Search for Belonging, by Naomi Leite. University of California Press, 2017. 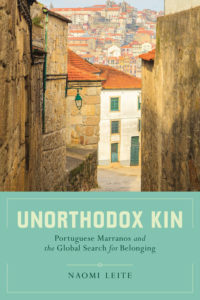 Unorthodox Kin, by Naomi Leite. University of California Press, 2017. 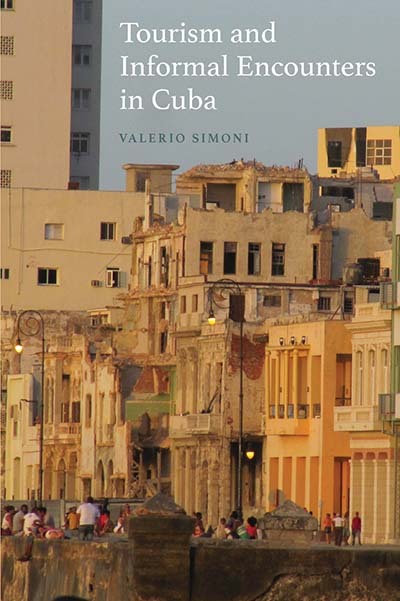 Tourism and Informal Encounters in Cuba, by Valerio Simoni. Berghahn Books, 2016. 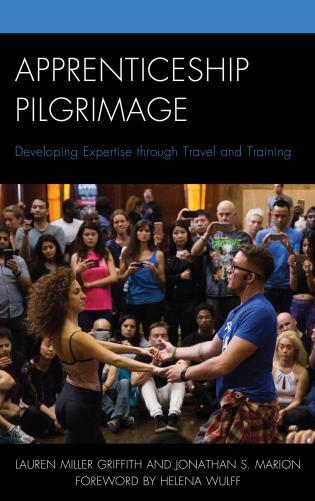 Apprenticeship Pilgrimage: Developing Expertise through Travel and Training, by Lauren Miller Griffith and Jonathan S. Marion. Rowman and Littlefield, 2017. The members of the ATIG Board wish to extend their thanks to the book prize committee and to all those who submitted nominations for the 2018 prize competition. The depth and breadth of research being conducted under the ever-expanding umbrella of “Anthropology of Tourism” is commendable. We look forward to surveying the frontiers of the field with you again next year! What is the significance of the green economy (and ecotourism) to New Left politics in Argentina? I seek to answer this question in my recently published ethnography, The Patagonian Sublime, which is based on eighteen months of fieldwork conducted primarily in the Argentine mountain village of El Chaltén and the adjacent Glaciers National Park (see Image 1). The New Left refers to the wave of center-left and leftist governments that have come power in Latin America over the last two decades, rejecting armed revolution in favor of electoral democracy. Responding to the crises, conflicts, and contradictions associated with neoliberalism, the New Left has articulated a wide range of policy responses that have sought to promote more equitable growth and to rebuild the social state. These governments – using more and less strident language – have attacked key assumptions of neoliberal capitalism while seeking to implement new visions for citizenship, development, sovereignty, and international engagement. Though facing a number of recent electoral setbacks, the New Left remains a vibrant source of post-neoliberal political imagination, seeking to build a counterhegemonic front from within the global neoliberal order. In Argentina, the Néstor Kirchner (2003-2007) and Cristina Fernández de Kirchner (2007-2015) presidential administrations are associated with post-neoliberal politics. Latin America’s most powerful political couple in the early twenty-first century, Kirchner and Fernández have pursued a “neo-developmentalist” economic approach focused on promoting natural resource exploitation and delivering material improvements to the lower, working, and lower-middle class constituents that comprise their base of electoral support. The green economy is a central pillar of the resource exploitation strategy promoted by Kirchner (who passed away in 2010) and Fernández. In particular, The Patagonian Sublime argues that the Kirchner-Fernández administrations implemented a “green productivist agenda” based on a particular mode of capitalist development, political rule, and national representation. First, the green productivist agenda involves a commitment to rentier capitalism based on ecotourism-led growth within national parks. Protected areas offer the tourism industry and the conservation state (i.e. national park administration) the opportunity to create territorial monopolies over access to key tourism destinations. The tourism industry and conservation state also work to create place brands for different parks organized synergistically across regional landscapes, thereby generating symbolic monopolies operating in tandem with territorial monopolies. Second, the Argentine conservation state has utilized “community-based conservation” as a strategy of political rule. Seeking to move beyond past associations with authoritarian control over parks, the conservation state has developed a more decentralized, democratic form of land management that attempts to incorporate citizen perspectives into sustainable development plans. In doing so, however, community-based conservation grants legitimacy to ecotourism frameworks that reproduce state-capital power in ways that marginalize other social groups such as seasonal workers, gauchos, and ranchers. Third, the green productivist agenda fetishizes the alpine environments of Argentina – found in the Patagonian Andes – as the key bases for landscape commodification. As such, the ecotourism industry represents and configures national nature in ways that identify Argentina with a global set of alpine landscapes (European Alps, Himalayas, Rockies, Southern Alps, etc.) while devaluing other types of natural environments. The Kirchner-Fernández green agenda has been quite successful in stimulating the growth of the ecotourism industry. From 2003 to 2015, national park tourism increased from 1.8 to 3.5 million annual visitors, with over 50% of all visits occurring in the Patagonian Andes. 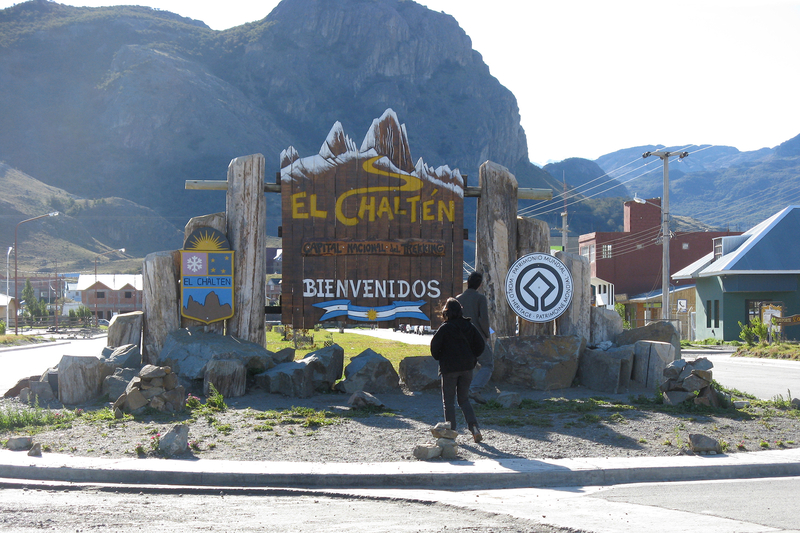 During the same timeframe, the village of El Chaltén saw an increase from 20,000 to over 56,000 visitors. These center-left governments also added 19 new protected areas (645,000+ hectares), terrestrial and marine, to the national park system. The book attends ethnographically to the El Chaltén zone. Taking a multiperspectival approach to understanding the tourism economy, I examine three spheres of activity: tourism consumption, tourism service production, and the conservation state. 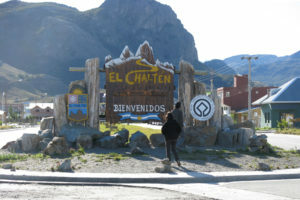 Part of a bi-national ecotourism circuit in southern Patagonia, El Chaltén has been branded the “trekking capital of Argentina” (see Image 2). The vast majority of tourists who visit El Chaltén participate in trekking options ranging from day hiking to multiday backpacking excursions. Visitors trek through beech forests en route to miradores (scenic viewpoints) where they can gaze upon the alpine glaciers of the Chaltén Massif and its two primary peaks, Cerro Torre and Monte Fitz Roy. The tourism industry has sought to commodify the glaciated backcountry by offering tour options ranging from boat trips to ice treks to ice climbing classes. For the most daring, there is a weeklong trekking excursion onto the Southern Patagonian Ice Field, the largest icecap in the Southern Hemisphere outside of Antarctica. In addition to adventure trekkers, there is a small group of mountaineers who spend weeks in the village attempting to pioneer new routes or ascend established lines. Mountaineering generates a steady stream of high-risk performances and imagery used by the local tourism industry to sell backcountry experiences and to invite trekkers to become mountaineers/explorers for the day. I examine how trekking and mountaineering produce different forms of risk subjectivity organized thematically in terms of the ‘body in nature’ while configuring the Patagonian alpine sublime as an object of aesthetic distinction. Tourism entrepreneurs have benefitted enormously from the pro-tourism policies implemented by Kirchner and Fernández. Working together with the conservation state, entrepreneurs have successfully branded and marketed El Chaltén as the national trekking capital while expanding services to upgrade their clientele. In the 1980s, mountaineers were the only tourists traveling to the zone. 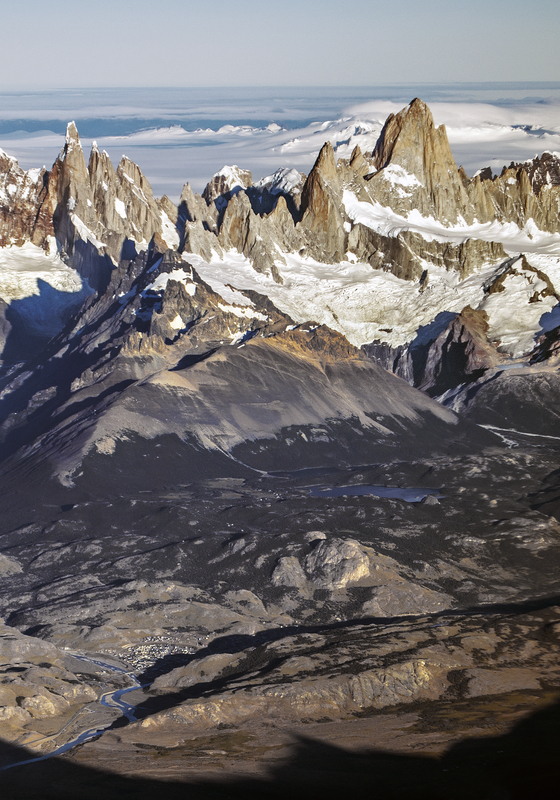 During the 1990s, European and Argentine backpackers discovered El Chaltén. By the late 2000s, upper-middle class tourists – primarily from Argentina and countries in Europe and North America – had become the dominant clientele. Tourism entrepreneurs have developed a collective monopoly over access to park destinations in the backcountry. As they have recruited more affluent visitors, entrepreneurs have extracted growing revenue while establishing their dominance over the politics of the village. As the green economy has grown, livestock farmers – once devoted to raising cattle, sheep, and goats – have embraced rural tourism while gauchos have been converted into master symbols of Patagonian rural heritage alongside the Aonikenk Tehuelche people. Entrepreneurs, however, have faced a number of problems ranging from conditions of high inflation to the ongoing fallout of the last global financial crisis. Entrepreneurs have sought to shift investment risk onto the shoulders of the seasonal labor force that travels to the zone each year. Like many Argentines, seasonal laborers endure conditions of informality and exploitation that depress earnings, eliminate access to social benefits enjoyed by formalized workers, and minimize chances of upward mobility. I examine how tourism entrepreneurs and workers engender different kinds of risk subjectivity thematically ordered around the ‘economy of nature.’ The discussion attends to the class, racial, and ethnic divisions that constitute the ecotourism economy (I examine gender dynamics in a separate journal article). Though they inhabit different positions within a tourism economy structured by divisions of class, gender, age, and ethnicity, community residents come together at particular moments to articulate what I term “popular sustainability.” Popular sustainability refers to the hegemonic common sense surrounding local relationships to the environment, the assumed boundaries between nature and society, and the values ascribed to wilderness conservation. The politics of risk is central to my understanding of how capitalism (and by extension, tourism) works and how different visions of sustainable development are operationalized. Though various social groups (entrepreneurs, workers, rangers, etc.) occupy different positions within a capitalist economy and enact different forms of risk subjectivity, residents come together to defend the pueblo against threats perceived to be internal and external to the community. I track how risk is mobilized into a collective discourse of threat that works to extend and defend popular visions of sustainability. The final chapter considers how Kirchner and Fernández – who are Patagonian politicians with personal investments in Glaciers National Park – have related to the ecotourism industry and the green economy. Indeed, Kirchner and Fernández have used their political engagements with the Patagonian green economy to communicate specific values of their center-left political ideology, such as a commitment to defending patrimonial rights to glaciers and the territorial sovereignty of Argentina. 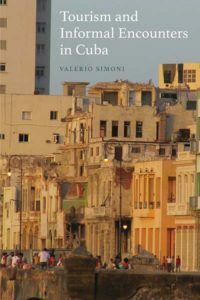 This book makes three contributions to the anthropology of tourism. I work within a well-established line of investigation that seeks to embed tourism markets within national and regional politics, viewing tourism as a key domain for the fashioning of political ideology. The Patagonian Sublime provides the first book-length study of how a New Left government has used ecotourism (and green politics more broadly) to build “popular fronts for sustainability” in Andean communities, as well as to communicate key values of Kirchnerismo as a post-neoliberal political ideology. Though there is a large literature that exists on ecotourism as a vehicle for spreading neoliberal logics of rule, I attempt to open a new line of inquiry regarding the role of ecotourism within post-neoliberal politics. Second, I take a multiperspectival view of tourism. Rather than just study tourists or tour guides or community residents, I sought to study all of the social groups that are actively involved in the ecotourism industry. The Patagonian Sublime seeks to provide what Tania Li has called a “conjunctural” approach to studying capitalist economies. Drawing on the interdisciplinary field of risk studies, I show how an ecotourism-based capitalist economy is constituted by an ecology of risk subjectivities. I then demonstrate how these risk positions are integrated through collective actions taken to defend popular sustainability. Third, I theorize ecotourism as a type of rentier economy based on the power of the conservation state and entrepreneurial capital to establish territorial and symbolic monopolies over place – the forging of what I call the “semiotic estate.” In doing so, I join David Harvey’s work on the geography of capital with Fernando Coronil’s work on the Latin American rentier economy. My hope is that The Patagonian Sublime demonstrates how revisiting the scholarship on rentier capitalism and the rentier state can illuminate under-theorized aspects of global tourism. Tourism in the city of Lisbon (capital city of Portugal) has been growing in recent years. In 2016 the number of tourists exceeded the 6 million mark, representing a 29.9% of total demand in the country. In 2016 it was ranked the 61st most visited city in the world and one of the Fastest-Growing Destination Cities in Europe (7.4%). The growing popularity of the Portuguese capital is shown in a number of recognitions given by the World Travel Awards since 2009. The proliferation of short-breaks and the increase in the number of low-cost flights through Lisbon Airport have been pointed out as factors for the increase of tourism in the Portuguese capital. Photo by F. Fernandes. Tourists in Lisbon, Portugal. Tourism is central to local economies, contributing to the creation of jobs and the emergence of new opportunities. In some cities tourism is the main economic activity and the only source for the economic development of that locality (Van der Borg, Costa and Gotti, 1996). However, there are cities affected by the pressure of the tourism sector, in which conflicts arise between residents and stakeholders. Across Europe there are echoes of overtourism, tourismphobia, and gentrification. Some talk of fighting tourism for the possible consequences it has on the real estate market. Mass tourism modifies the relationship between hosts and guests. This pressure of tourism is evidenced in urban centers by the availability of accommodation offered through new platforms associated with shared economies (Gutiérrez et al, 2017). Tourism also contributes to changes in city spaces. Through this process, commonly known as touristification, tourism interacts with the territories; bringing about transformations in social, cultural, economic, political, physical and environmental contexts; introducing new objects (accommodation, leisure facilities, leisure, catering, etc.) and taking possession of objects already present, giving them new meanings. Currently I’m conducting an ongoing research project that aims to analyze the processes of transformation of places in Lisbon. With the increasing abundance of tourist territories, it is essential to analyze the processes, dynamics and actors involved in tourism processes. My main goals are: identify the actors and analyze the processes and dynamics of tourism; understand the forms of interaction between hosts and guests and the new hospitality; identify and examine the forms of hospitality and shared economies; and finally, examine which global discourses are produced locally. 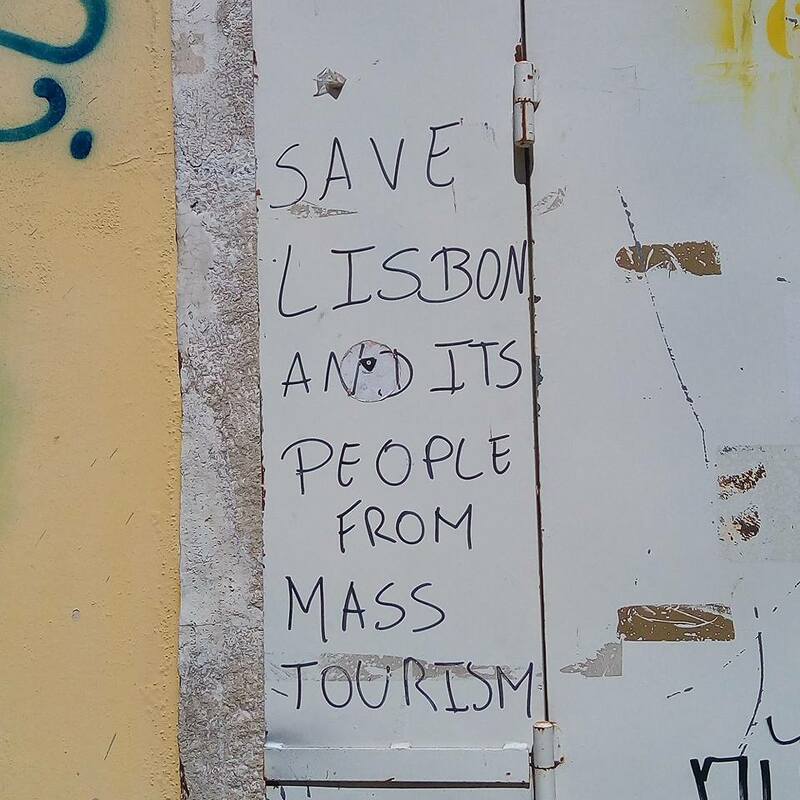 My ongoing fieldwork in Lisbon (in particular, in Alfama and Bairro do Castelo) makes use of qualitative methodology: mainly ethnography, bibliographic research and content analysis (media articles, Airbnb platform, tourism websites and tourist booking portals). I intend to show how tourism contributes to the processes of transformation and co-production of places. The emphasis will be placed on the influence of the local population, government agents and other players in tourism development processes. The increase of the tourist hordes in the city has contributed to changes in housing and in businesses. Residents leave some neighborhoods due to high rents. Locals cannot rent a house, given the very high rents that are charged by landlords. “Those who stay are all elderly people, when they die the houses are remodeled and sold, giving rise to hotels, hostels, rooms for rent.” (woman, resident in Bairro do Castelo). With external investments new and renewed spaces are built to accommodate tourists. An example is the Lusitano Club, a collective founded in 1905 that closed its doors this year and was replaced by luxury apartments. “I lived there for about 30 years, we were put on the street because the building was sold for tourism. I come to Alfama every day. My sister and I clean the apartments in the building where we used to live. One day we will have only tourists in the neighborhood! “(Woman, 50-60 years, April 26, 2017). This daily movement of people brings with it concerns on the part of some residents about the appropriation of the neighborhood. As one woman said “one of these days they come here and it will be only tourists; tourists to see tourists “(50-60 years, April 26, 2017). In some cases residents complain about the noise. 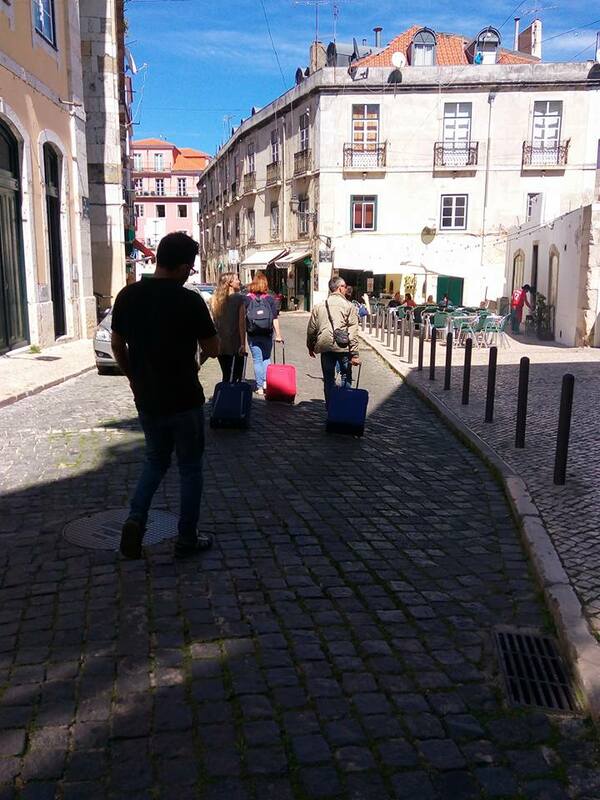 “Over where I live everything is rented to tourists and there is always a lot of noise with the suitcases when entering and leaving the house, several times the threatening ones that called the police, “(woman, resident in Bairro do Castelo). The process of touristification taking place in Lisbon has changed urban spaces. 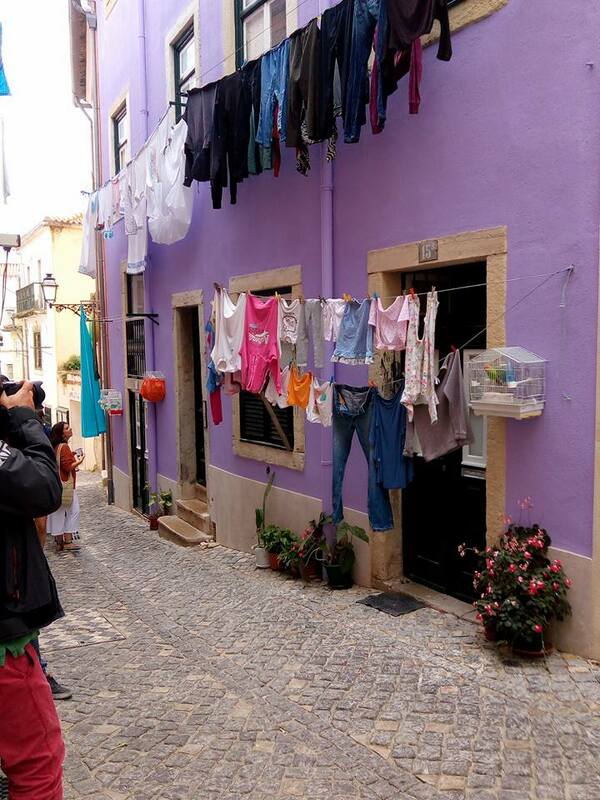 In Alfama, the boom in tourism has led to the abandonment of residents of the neighborhood, which has lost its character, according to some residents. The introduction of the new rent and lease Law has complicated the lives of some residents who have been forced to move to other places and some residential spaces have been used for tourism purposes. These new paradigms of hospitality have advantages, above all, in the rehabilitation of homes and local commerce. As one woman asserted, “tourism is good for the economy, for the neighborhood” (Souvenir shop / Art gallery, woman). Nowadays there are new collaborative forms of travel, Airbnb being one example, and there is a place for the development of tourism whose prominent role goes to the local communities. In the post-tourist world the place is co-constructed by the multiple actors present in the heart of the tourist destinations. The experiences break the formal models, witnessing relationships outside the usual tourism circuit. One observes how the ‘local’ comes to be seen and desired as authentic by many. The seduction of these spaces involves the possibility of experiencing a part of everyday life at the heart of local communities. However, this growing demand has led to negative consequences, distancing local inhabitants from these spaces and contributing greatly to the phenomenon of gentrification. Photo by F. Fernandes. Tourists respond to the seduction of the space. Gutiérrez, J., García-Palomares., J. C., Romanillos, G., Salas-Olmedo, M. H., 2017, The eruption of Airbnb in tourist cities: Comparing spatial patterns of hotels and peer-to-peer accommodation in Barcelona, Tourism Management, 62:278-291. Van der Borg, J., Costa, P., Gotti, G., 1996, Tourism in European heritage cities, Annals of Tourism Research, 23:2, 306-321.